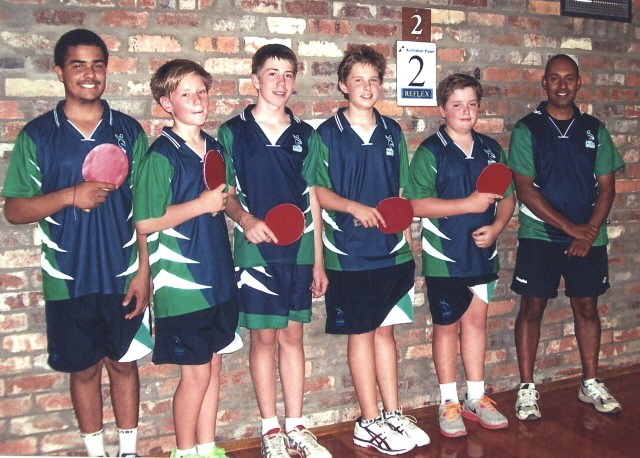 In 2009 a steering committee was set up comprised of representatives from Table Tennis Victoria, Gippsland Sports Academy, Traralgon, Bairnsdale and Leongatha Associations to form a regional Table Tennis Academy Squad. The aim of the program was to develop the physical skills, control and tactical elements essential to higher levels of the game and develop regional based networks to assist juniors on a pathway to State, National and ultimately International competition in Table Tennis. The squad kicked off in 2010 under the direction of Alois Rosario as Head Coach. 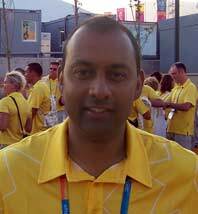 As a successful international competitor and Olympic and Commonwealth Games Coach, Alois brought an extraordinary depth of experience to the program. He is also co-editor and technical contributer to the internationally recognised web site PingSkills. The Academy team achieved great results with some outstanding performances at the State level within their first year culminating in 2 players competing for Victoria’s State Team in the Nationals (Darcie Morton and Michaela Campbell) and one player invited into the President’s Team (Stefan Joseph). In 2011 the Academy team welcomed representatives from Wonthaggi Table Tennis Association to the Squad and once again had 3 squad members represent the region in the Nationals. In 2012 the squad increased its representation in the National Finals held in Perth by fielding 5 current squad members and 1 ex-squad member all from Gippsland. Click to download in PDF format. 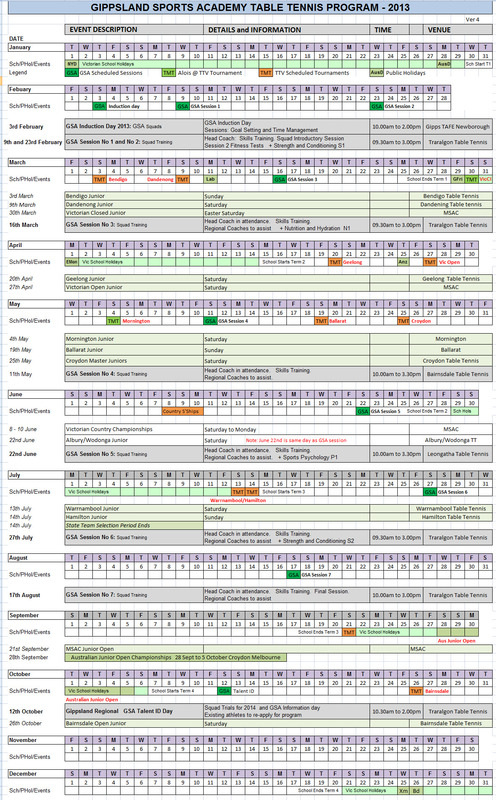 Previous years information and pictures for GSA Squads - CLICK HERE. Les Ponton revises some of the finer points of fitness training with the squad.